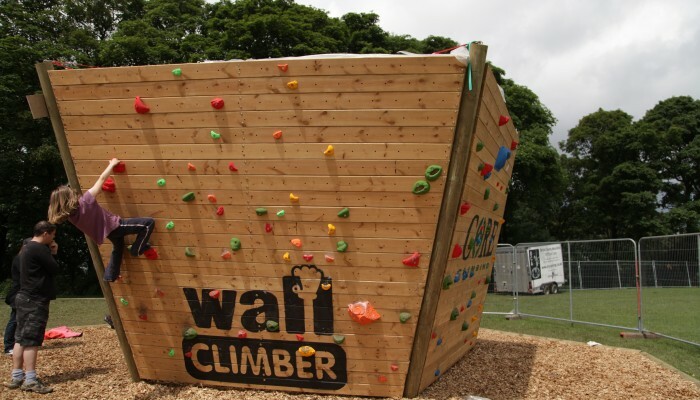 We designed this unique outdoor bouldering wall for the Cliffhanger outdoor festival in Sheffield 2012. 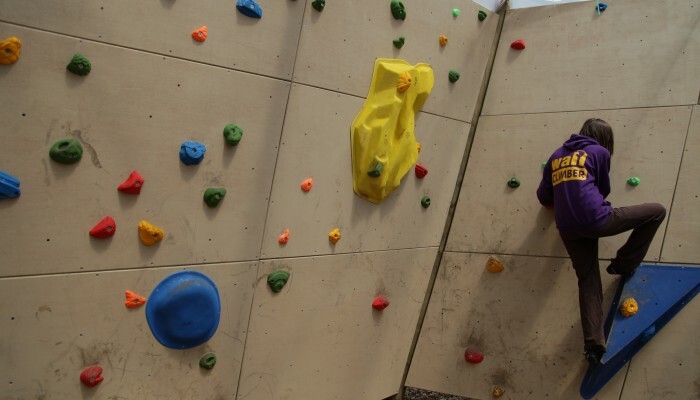 It’s a towering, free standing 3D pentagon with every possible angle from -20 to +20 degrees, climbable on the inside (under cover!) 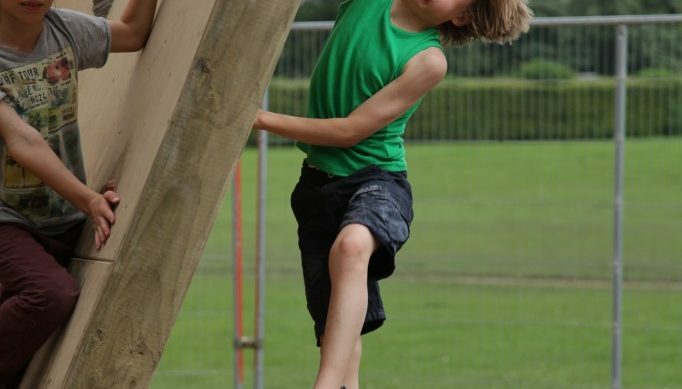 and on the outside. 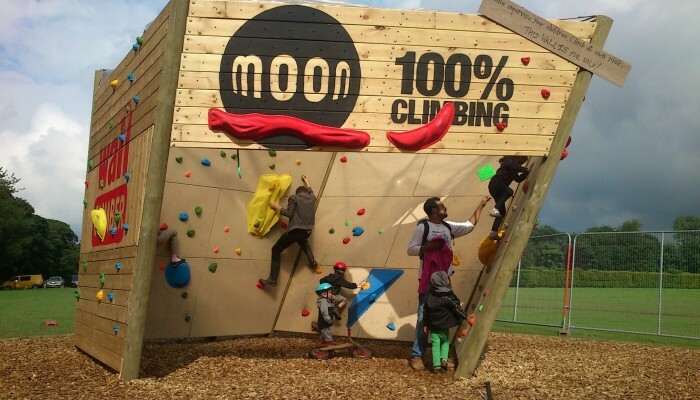 It features an arch, lots of 3D volumes, a smooth plywood surface on the inside and beautiful treated natural timber on the outside. 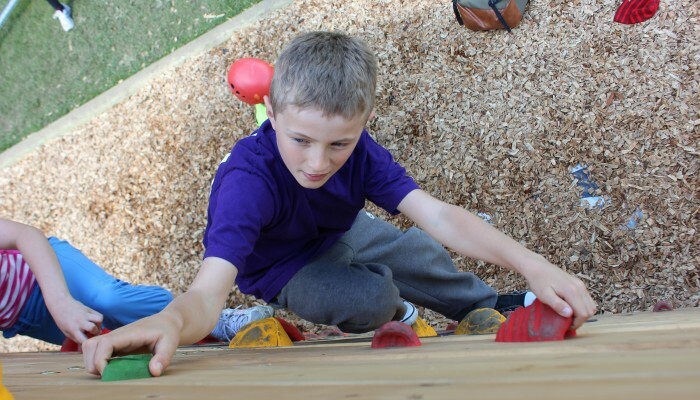 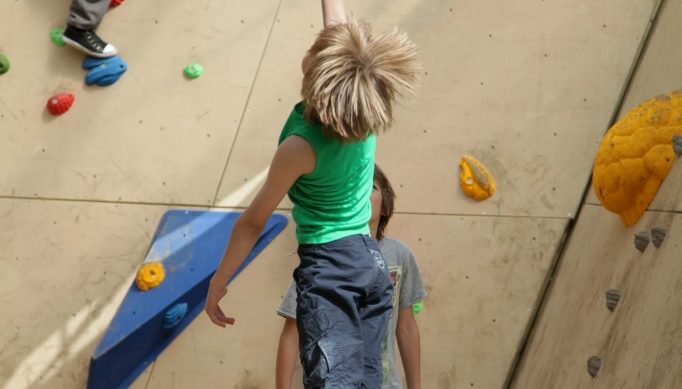 Perfect for young and old climbers, newbies and pros alike. 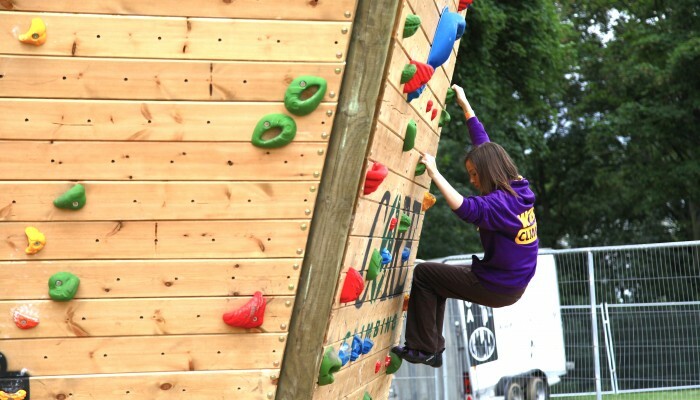 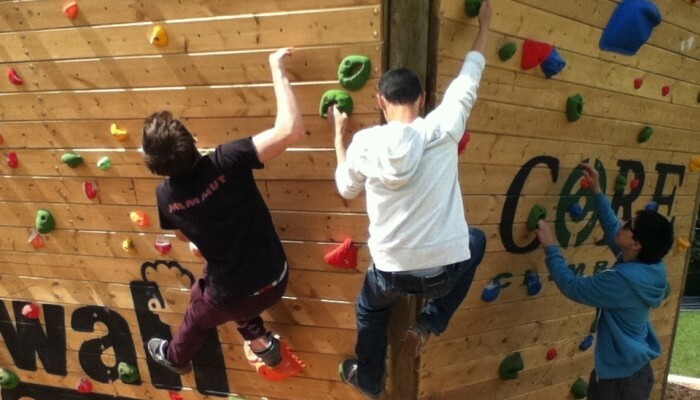 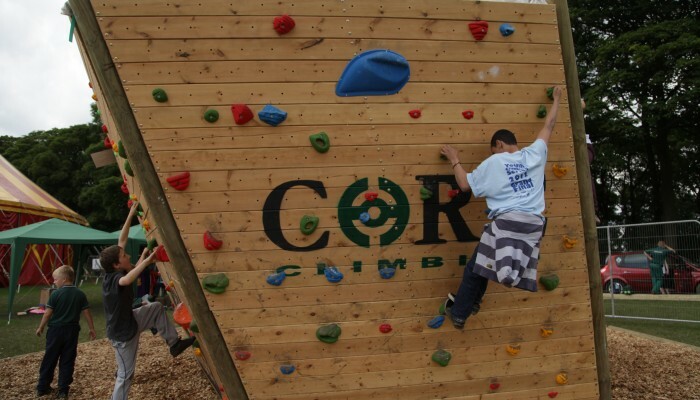 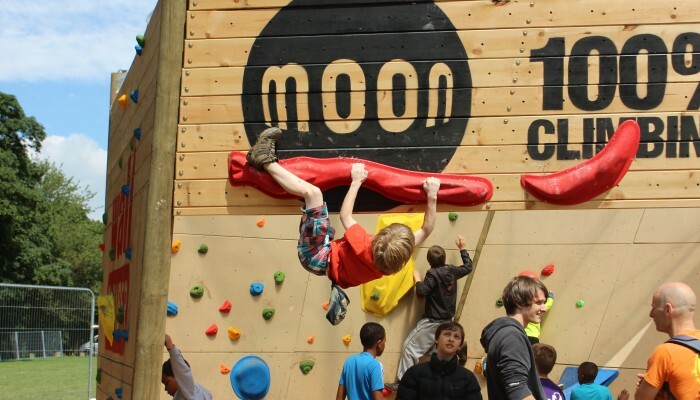 It was a real hit at the event, and now this design is available as a new-build outdoor climbing wall from Wall Climber.